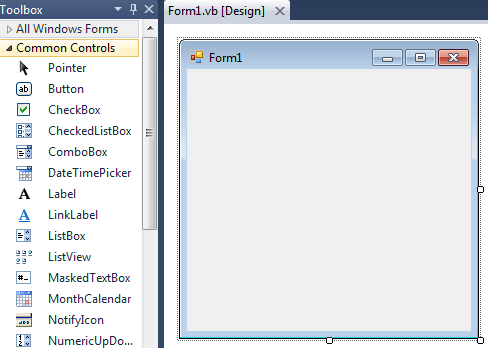 VB.Net programmers have made extensive use of forms to build user interfaces. 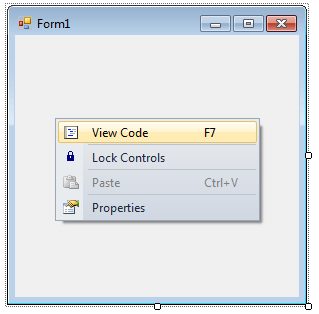 Each time you create a Windows application, Visual Studio will display a default blank form, onto which you can drag and drop controls from the Visual Studio Toolbox window. The first step is to start a new project and build a form. Open your Visual Studio and select File->NewProject and select Visual Basic from the New project dialog box and select Windows Froms Application. Enter your project name instead of WindowsApplication1 in the bottom of dialouge box and click OK button. The following picture shows how to crate a new Form in Visual Studio. Select project type from New project dialog Box. 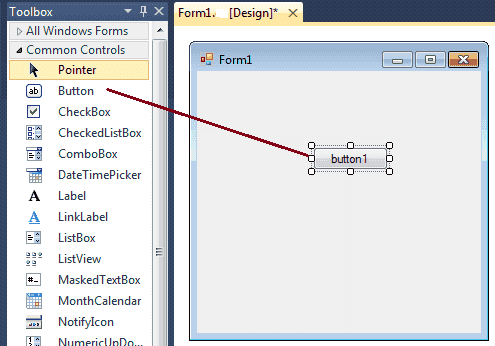 When you add a Windows Form to your project, many of the forms properties are set by default. Although these values are convenient, they will not always suit your programming needs. The following picture shows how is the default Form look like. If you want to set any properties of the Form, you can use Visual Studio Property window to change it. When you right click on Form then you will get code behind window, there you can write your code. For example , if you want to change the back color of the form to Brown , you can code like this. Likwise you can change other properties of Form1 through coding. 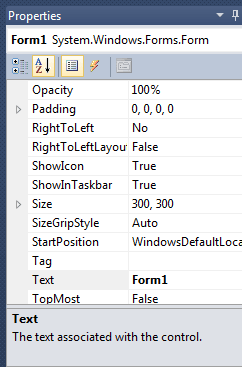 The following VB.Net source code shows how to change the Title, BackColor, Size, Location and MaximizeBox properties of Form1. Copy and paste the following VB.Net source code to source code editor of your Visual Studio. Me.Text = "Change Prperties Through Coding"
The Windows based programs you create using Visual Basic .NET run in the context of a form. When you close the form, the application also ends.